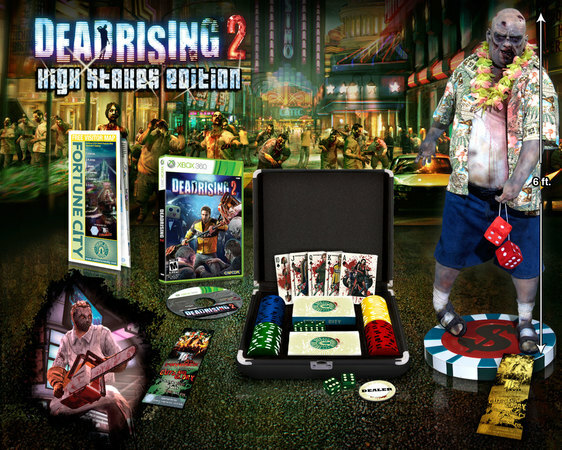 Apparently, not content to have only one special edition of Dead Rising 2, Capcom has announced an uber limited edition of the game only available on their online web store. Called the High Stakes Edition, the pack not only includes lots of a swag - but a chance to win something truly unique - a 6 foot zombie statue. The price - $89.99. Less than 3 weeks left though so you better hurry.